Pancreatic cancer is one of the most aggressive cancers, with a very high mortality rate. Currently several biomarkers are used for early detection of pancreatic cancer and can be a guide for surgical decisions. The most commonly used are carbohydrate antigen 19-9 (CA19-9) and carcinoembryonic antigen (CEA). We used several detection techniques: ELISA and electrochemical analysis by serum stochastic sensors, respectively whole blood and immunohistochemical determinations of CA 19-9 from tumor tissue to describe a sample of pancreatic cancer patients. We analysed biological samples from 34 patients: 23 patients with stage IV, 7 patients with stage III and for 4 patients with stage 4. Our results are consisted with the ones reported in literature, thus we can use our population samples in further studies that will develop a rapid molecular diagnosis technique with increased sensibility, reliable, reproducible and at a low-cost. This could be used as a screening test for the individuals with a high-risk of developing pancreatic cancer. To increase survival in this type of cancer, an early detection and personalized treatment is needed. 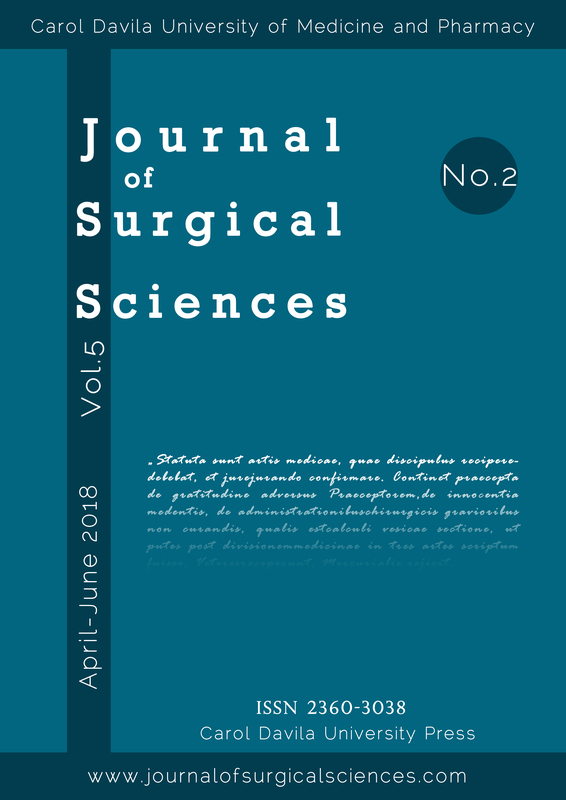 I. Turcan, A. Voinea, S. Grădinaru, A. Dumitru, F. Gherghiceanu, and S. Oprescu, “PILOT STUDY FOR BIOMARKER CHARACTERIZATION OF A SAMPLE POPULATION OF ROMANIAN CANCER PATIENTS”, JSS, vol. 5, no. 2, pp. 87-92, Nov. 2018.